← Yes, I am a keling. So what? PETALING JAYA: BN is set to have a 10-seat head start in the upcoming Sarawak election resulting from the recent re-delineation exercise, Bersih 2.0 Chairperson Maria Chin Abdullah said. Her assessment was based on research conducted by Merap, which studied data gathered from GE13 indicating that the re-delineation exercise had created several BN-friendly seats. “Where these [BN-friendly] seats have been created, the average size of the constituency would shrink between 25 per cent to 47 per cent,” she said. 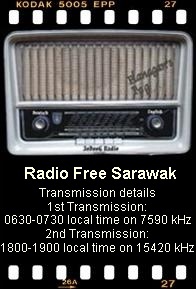 Maria pointed out that the re-delineation exercise in Sarawak contradicted several Sections of the 13th schedule of the Federal Constitution, namely Section 2(C) which requires all constituencies in the same state to be ‘approximately equal’, and Section 4(a) where there was failure to provide adequate information to affected voters. The Bersih chief added that this led to a worsening imbalance in the number of voters in each constituency and was “a mockery of the ‘one person, one vote, one value’ principle”. Merap Researcher, Lee Wee Tak said that BN was set to gain massive success in the upcoming March state elections and cautioned that other states could suffer the same fate as Sarawak. This entry was posted in Bersih, Sarawak. Bookmark the permalink.